Time to clean out your closet? If any of you have party, cocktail, or formal dresses you’re no longer using please consider donating them to the South San Francisco Public Library before March 15! The South San Francisco Public Library is hosting their 3rd annual prom dress giveaway. This year, we are partnering with East Bay Dress Day, a nonprofit organization that collects and distributes free prom dresses to girls wanting to go to prom. Visit us at the library to get your free prom dress that you get to keep and take some photos in our photo booth to show off to your friends and family. 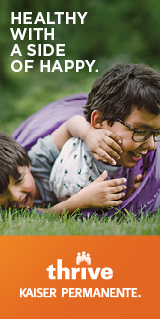 Please click here to sign up for our program. **Sign ups are not mandatory & recommended to estimate for dress size you wear, to ensure we can accommodate your size. 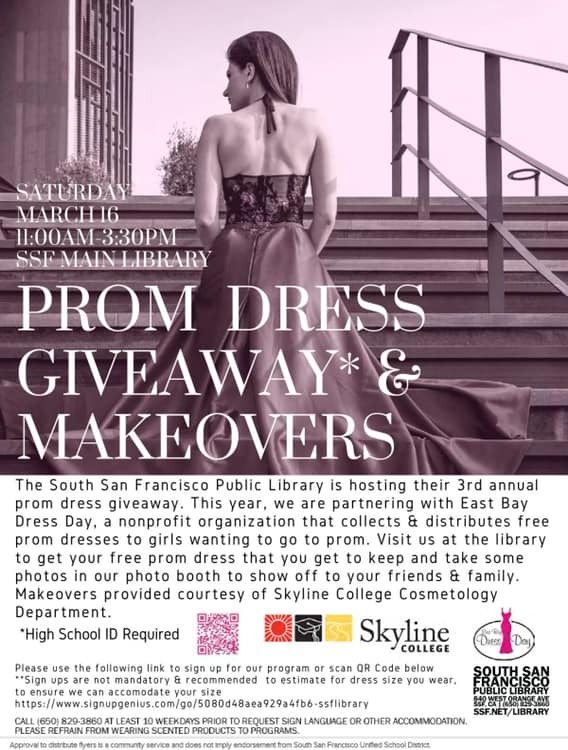 The South San Francisco Public Library will be accepting prom dress donations and other appropriate accessories (shoes, dress sweaters, purses, etc.,) up until the day of the program, Saturday, March 16th, beginning at 11:00 AM. Donations will be put out for girls to take if desired and the remaining donations will be given to East Bay Dress Day to help other girls in other parts of the Bay Area.